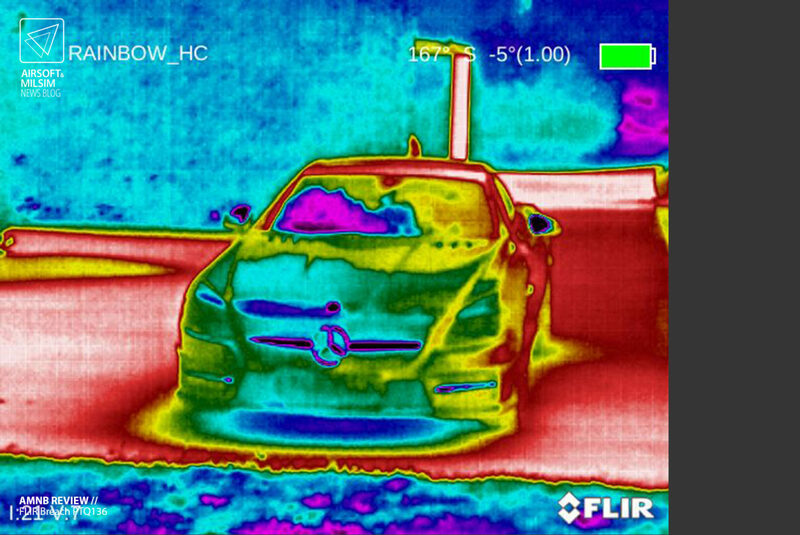 Thermal imaging technology has gone a long way since the 1960s and has miniaturised to a handheld format for use by many different services. 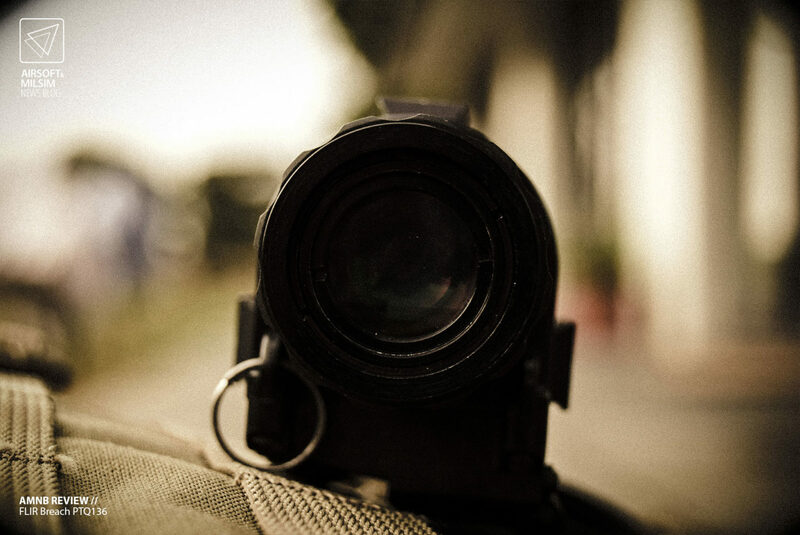 FLIR has been designing innovative thermal imaging infrared cameras since 1978 and providing them to both civilian and military services around the world to help present a new perspective to help combat situations that arise. 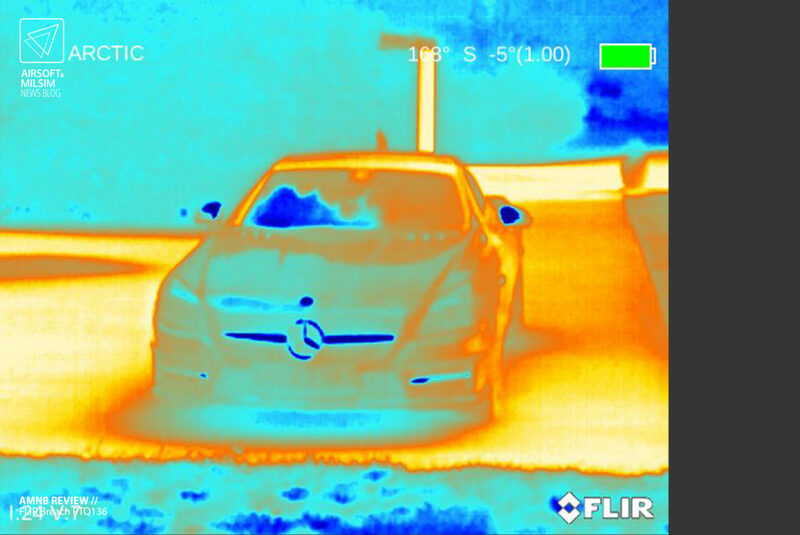 If you would like to learn more about how thermal imaging devices work, check out our article here. 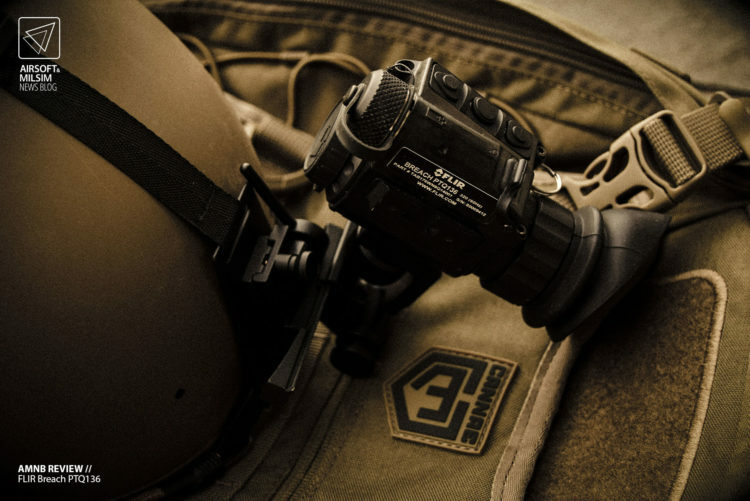 The FLIR Breach PTQ136 is a handheld multi functional thermal imaging device that has been designed for use by law enforcement to detect and spot the heat of suspects and objects. 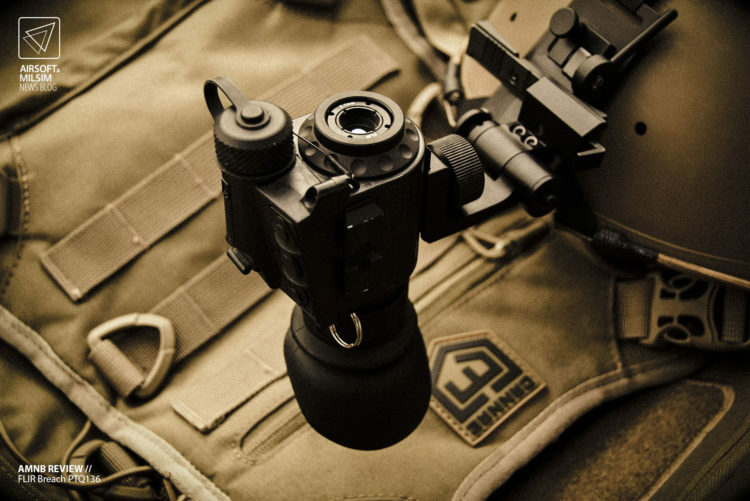 The Breach offers a new FLIR Boson core in a compact design, weighing at only 7.4 ounces. 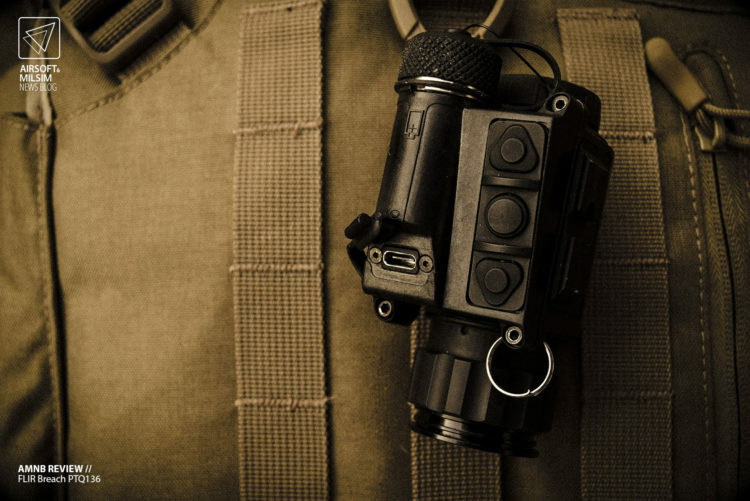 This means that the FLIR Breach is a very easy to transport device, as it can be concealed in a pocket, backpack or mounted on a helmet mount. 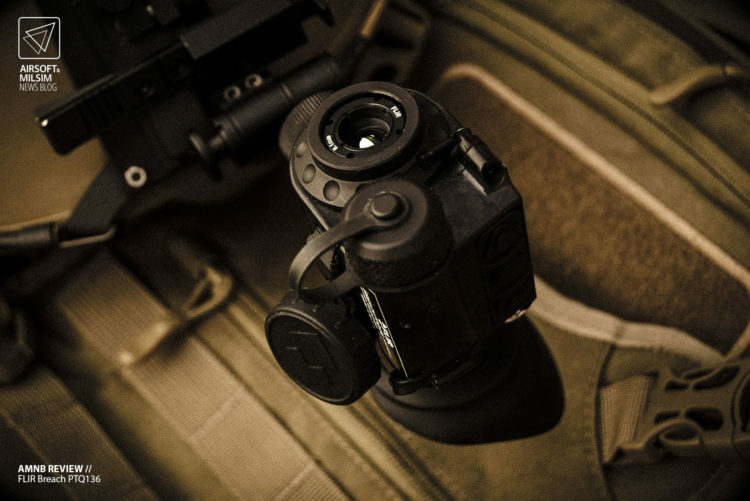 The FLIR Breach also has the capability to record images and videos off the digital display directly, giving the user the ability to contain evidence of their visuals at a later time. Like some other thermal imaging devices, the Breach has the ability to show visual representations of heat signatures in multiple different schemes (7 available settings). The FLIR Breach PTQ136 has a 320 x 256 60Hz VOx Microbolometer with long wave infrared accurate between 7.5 and 13.5 micrometres of the electromagnetic spectrum. The lens is 9.1 mm with an aperture of f/1.04, giving a 24 x 19 degree angle of view. 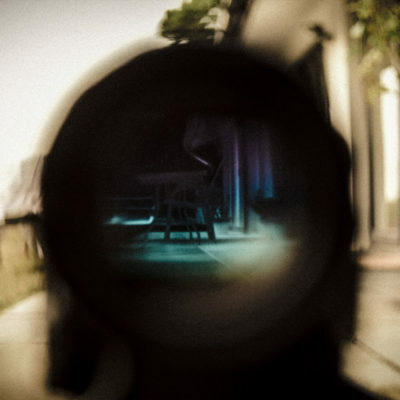 This is a narrow field of view however it allows for more precise and detailed visuals at range. 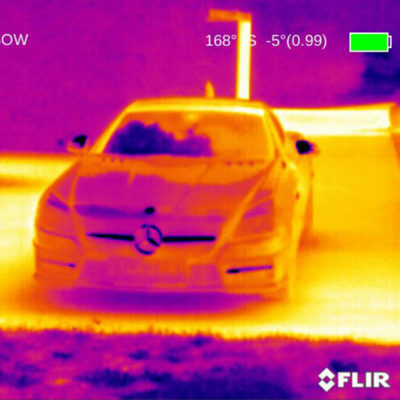 This device is designed to give a focused visual thermal than a more overall picture for manoeuvring. As mentioned before, the display comes with multiple visual schemes: White Hot, Black Hot, Rainbow HC, Ironbow, Sepia, Arctic, and Outdoor Alert. The Breach has a built in 1280 x 960 Quad-VGA FLCO Display which operates as the viewfinder for the user, but also provides a digital video output which is available via the USB Type-C connection on the shell (which is enhanced by the proprietary FLIR Digital Detail Enhancer). 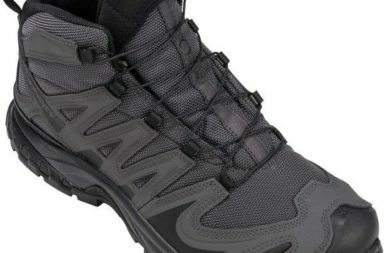 The device is housed in a protective polymer body which is shock resistant and rated waterproof (IP67). 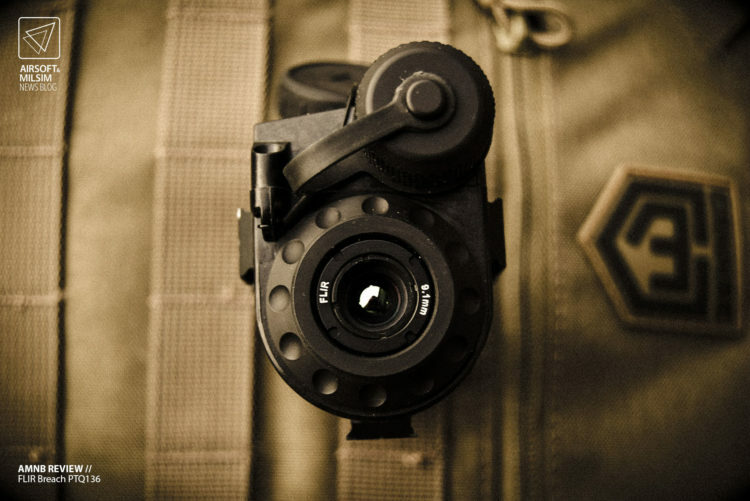 There are two small mounting rails for use on either a helmet or weapon mounting rig but can also be used handheld. The device comes with a 1x to 4x digital zoom which is fairly useful however being digital, will not make it overly ideal for long range detection. 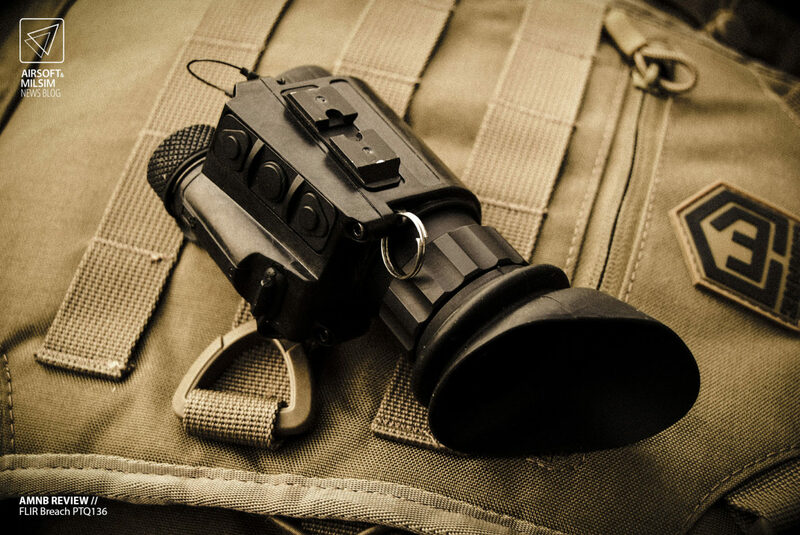 The Breach is capable of recording footage and taking still images during operation, allowing for use with law enforcement and hunters who need to record footage of what they detect through the device. 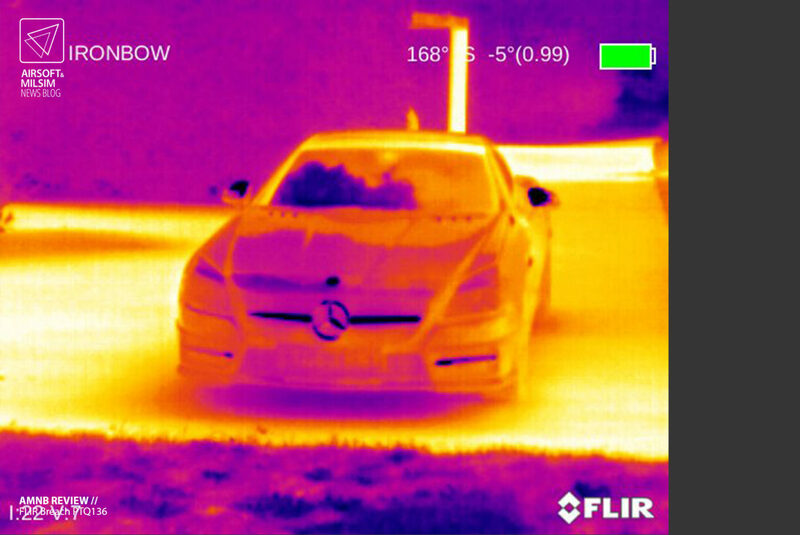 The FLIR is capable of recording up to 2.5 hours worth of video footage or 1000 still images on its internal memory, which can then be transferred via USB to a PC to be viewed and edited. The Breach is powered by a CR-123A battery with a tested battery life of over 4 hours without recording (dependent on the type of battery). The device can also be charged via a power bank through the same USB Type-C connection, giving it an unrivalled edge over internal battery only devices. The FLIR Breach comes with an eye cup to remove light bleeding externally from both the display and the environment around it. The display has an internal eye relief of 16mm with a +5 to -5 diopter adjustment dial. 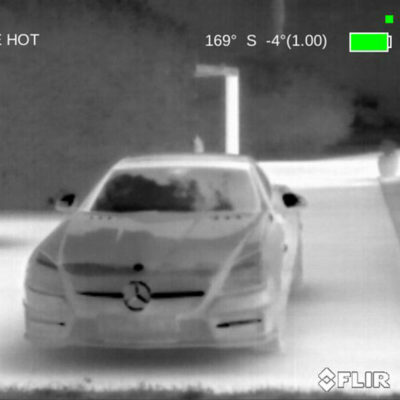 Other than the core elements of the thermal imaging, the FLIR Breach also gives accurate digital compass readings and inclinometers for geolocation referencing. This feature is very useful for teams of users who need to reference sightings based on their location using a compass heading. 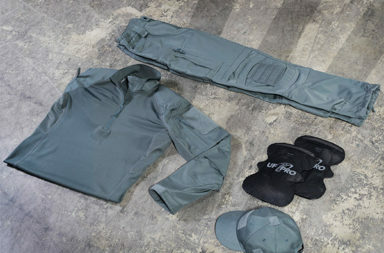 The FLIR Breach comes with three external buttons which are rubberised and ergonomically designed to work with gloves. The middle button can be held for 1.5 seconds to turn the unit on and longer to turn the unit off (automated functions are available as well). The USB Type-C connector can also be located next to these buttons with a cap to help protect the unit from the elements. The front lens is provided with a cap to keep the lens protected during storage but can be removed when needed for operation. Everything on this device can be tethered to the device to avoid loss which is very practical and increases the durability of the device overall. 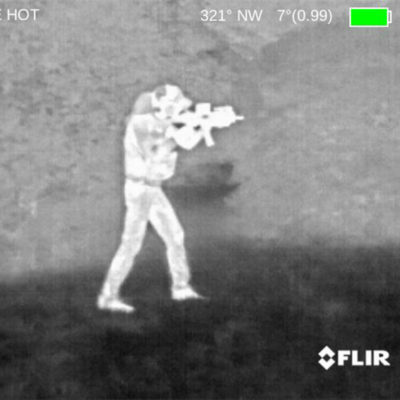 The FLIR Breach is an ideal imaging device for military, law enforcement, pest control and firefighting services due to its accurate ability to detect heat signatures via IR. 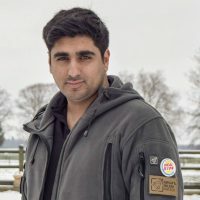 As seen in the video above, it has the ability to detect small animals in long grass and horses in adjacent fields with an auto gating feature which adjusts the gain of the thermal image and stop an over balance of the thermograph imaging. 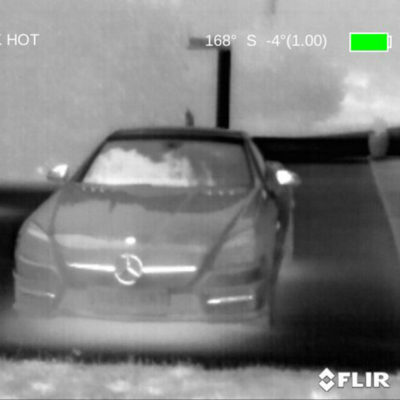 The Microbolometer doesn’t care for the level of visual light or different visual impairments such as smoke or fog as it only shows the IR signature of objects that are above freezing temperature. The image quality of the Breach is very clear considering how small the device is and does not pixelate the image easily unless you are using the furthest digital zoom on the camera. What is most impressive is the ability to detect small IR signatures at range, such as small pests which are normally hidden by long grass or the blending of its environment. 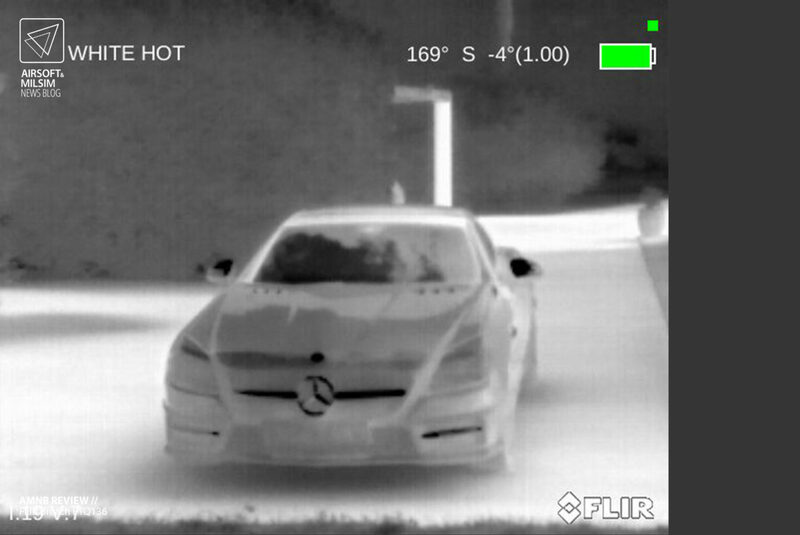 Even during the day, it can be difficult to detect small animals in a field, however with the FLIR Breach, it is very easy to spot a differing IR signature compared to its environment. This makes it a very advantageous tool when it comes to removing the natural concealment of an object. 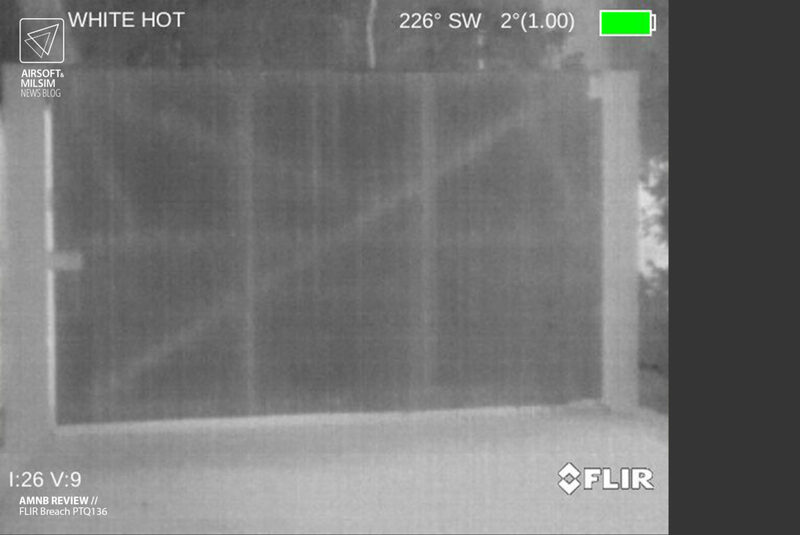 The FLIR Breach is designed for law enforcement however it can be seen that its purpose can extend to many other disciplines which can also include construction surveying as it can see through materials that have a loose density such as wood and present the metal frame of a gate structure (refer to image gallery above). 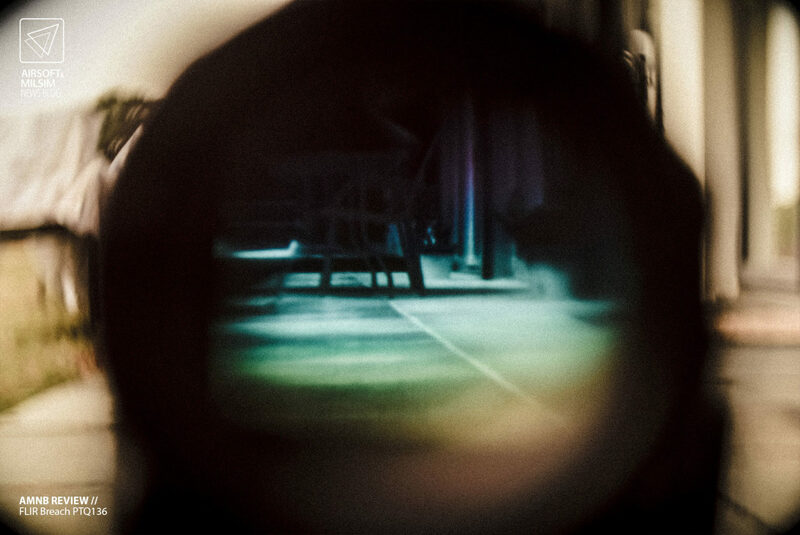 There are however slight flaws which are inherent with the use of IR signatures such as IR projected by natural light such as the sun, it has shown to hide objects that are of the same spectrum like a shadow, however this issue is only evident in certain situations and still highlights the target object somewhat when using different colour schemes. 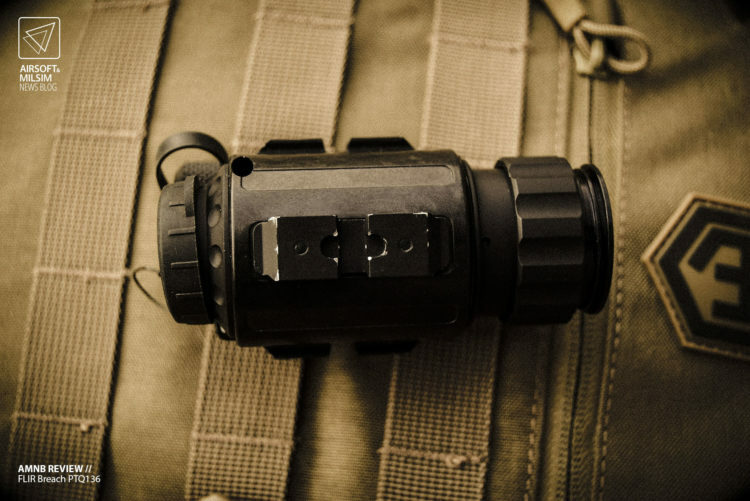 The shell of the FLIR Breach is not only very well made, but also quite easy to handle. The ergonomics were obviously designed for miniaturisation over aesthetics, but the finish of the product itself makes it very easy to use as a handheld device. 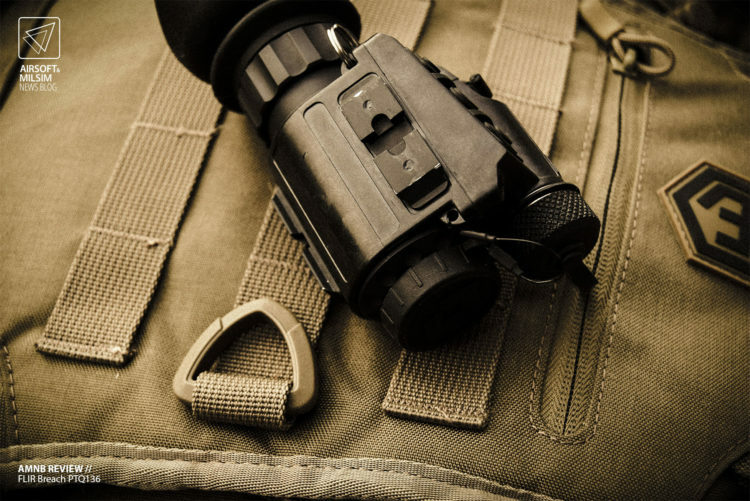 It is our opinion that it works best as a handheld device over being a mounted optic as it can be more effective as a spotting tool. 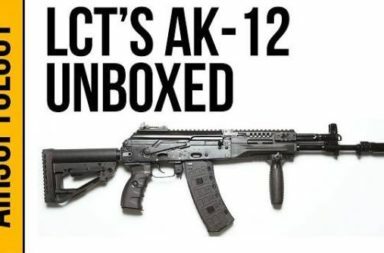 This does not mean that it cannot be used as a helmet device or an aiming tool, it just doesn’t do as good a job compared to other products on the market. 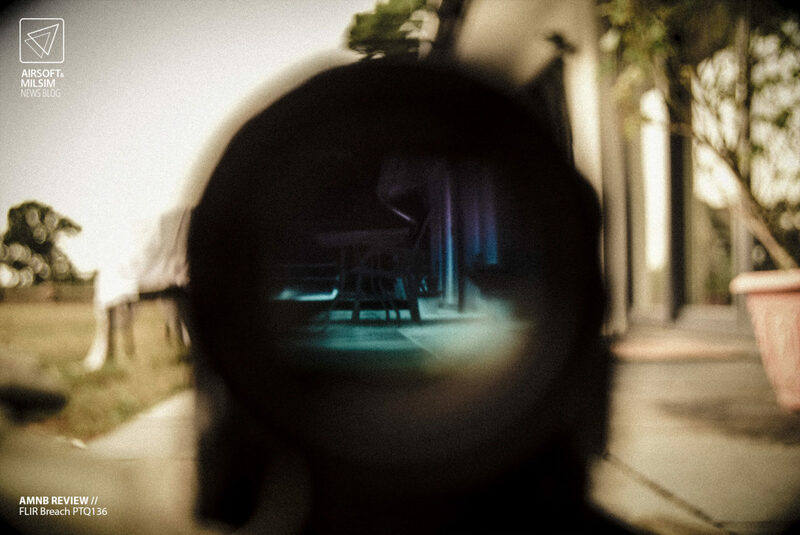 Because the FLIR Breach is a thermal imaging device, you will have to mount it in front of a red dot and zero the red dot based on the image and not the target. 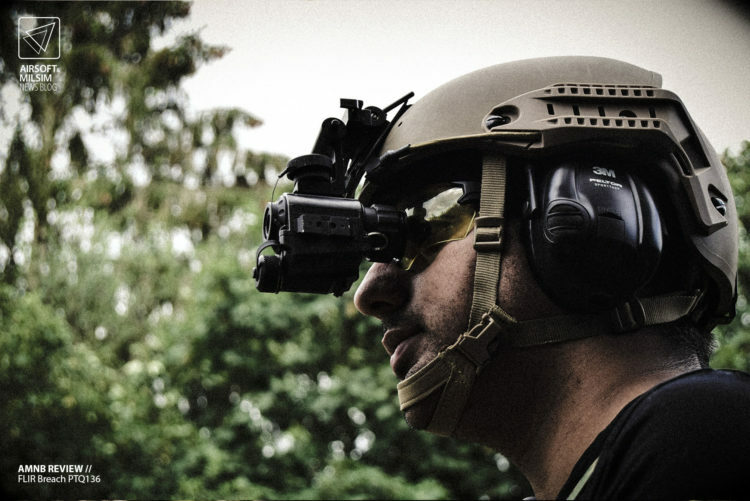 As a helmet mounted device, the Breach is still capable of doing its job, however it can get in the way due to a narrow focus point compared to night vision optics. 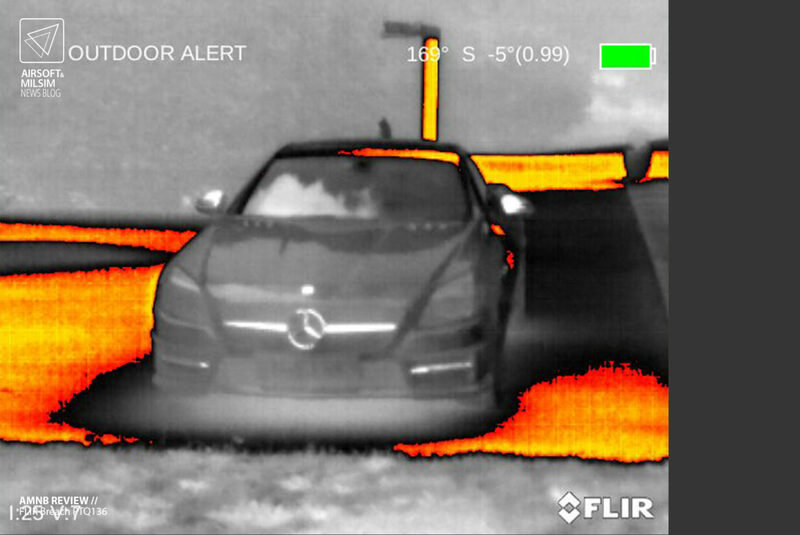 Daytime usage of the FLIR Breach is very easy on the eyes as the display screen is quite bright and gives a clear image even without the use of the eye cup to block external light. In fact, we believe that the Breach is as effective during the day as it is at night due to how it works with the environment. 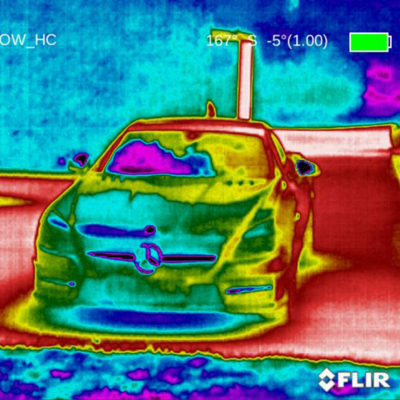 Heat signatures can be detected in different lighting situations, whether they be indoors or outdoors compared to the direct environment of the user. 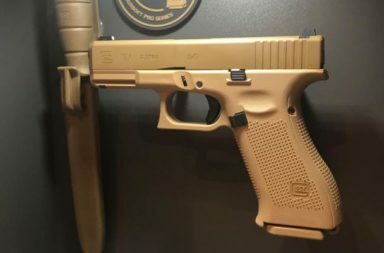 The device can also see through many forms of concealment, from light shrubbery to the dense concealment of smoke (which is most commonly used during the day than at night). Don’t expect to see through visually transparent objects (glass) however as the IR does not bleed through like visual light rays and hence can lead to the device leaving you blind to what is on the other side. 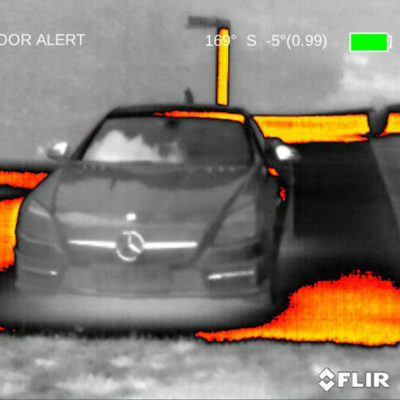 This is one of the disadvantages to using thermal imaging which has yet to be resolved at least with the FLIR Breach. Mirrors however do reflect IR signatures and hence allow for subjects to be detected off reflective surfaces as pictured above. 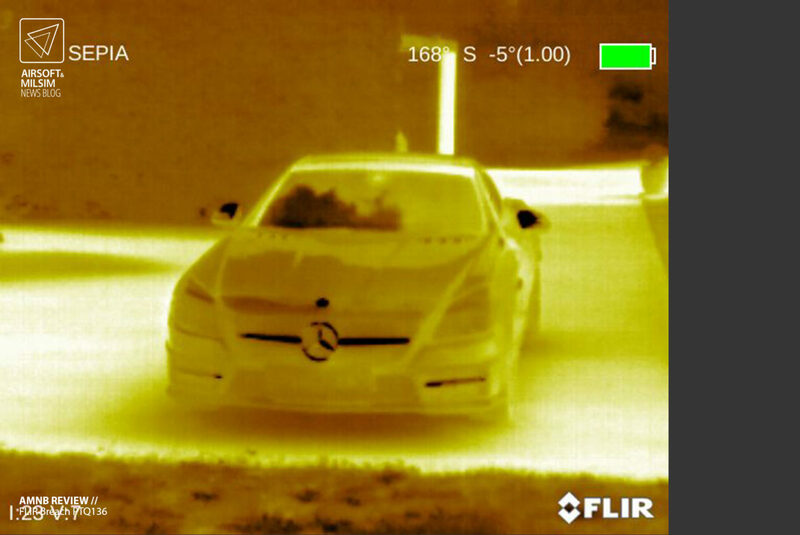 The FLIR Breach works just as effectively, technologically at night as it does at day. 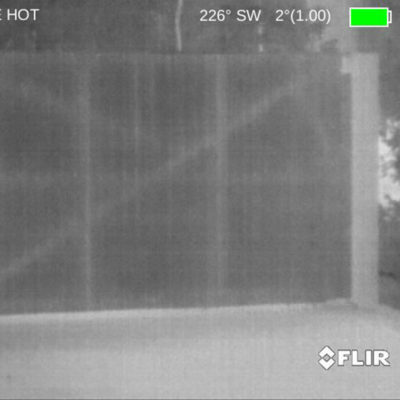 The most obvious advantage to the Breach at night is the ability to see objects at night without needing a visual light source. 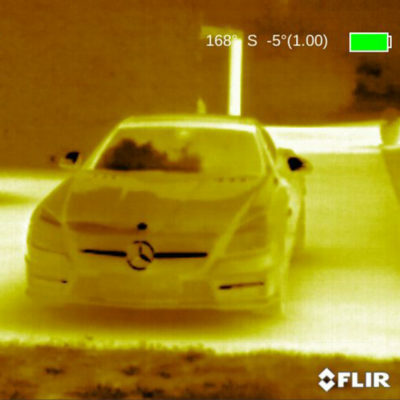 Other than using night vision technology, thermal imaging is one of the only other methods to covertly see in the dark (let’s ignore the use of ultrasound). 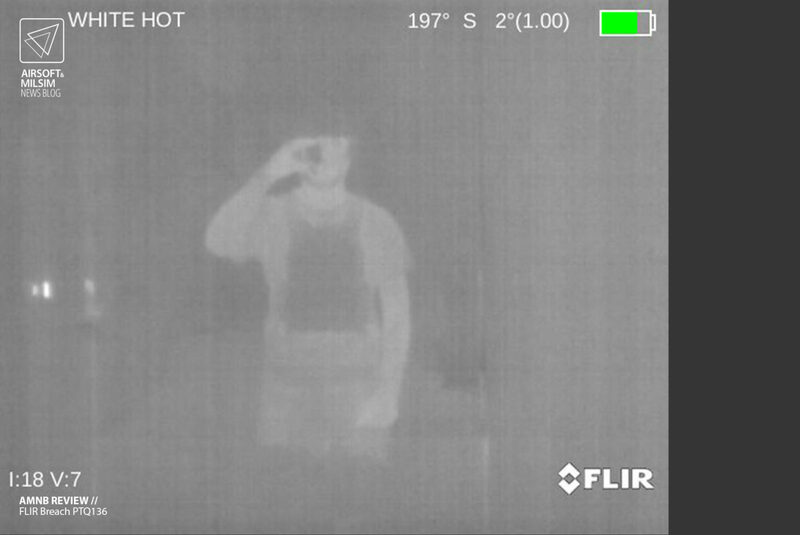 The one major issue with using the FLIR Breach is the brightness controls of the display when used at night. Even at the lowest brightness settings, the display can cause eye irritation after an hour of usage as their is a huge contrast between the night light and the display’s light. It is recommended not to use the FLIR Breach solely for navigation as it does not have the ability to present a full visual image of the dark (or the day) where the environment emits the same spectrum of IR light. This can happen where a subject of heat is not present and the landscape is quite plain such as grassland or dense forest. 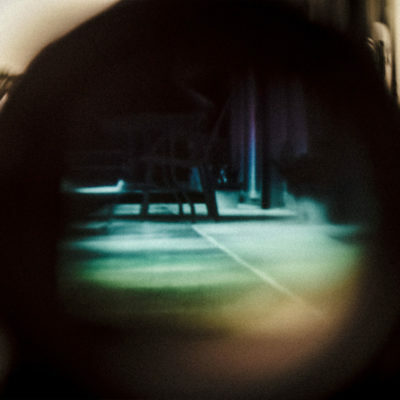 The image can be too bland to recognise compared to using night vision optics or the human eye. In effect, the FLIR breach is a spotting tool and not a navigation device for use in low light environments. 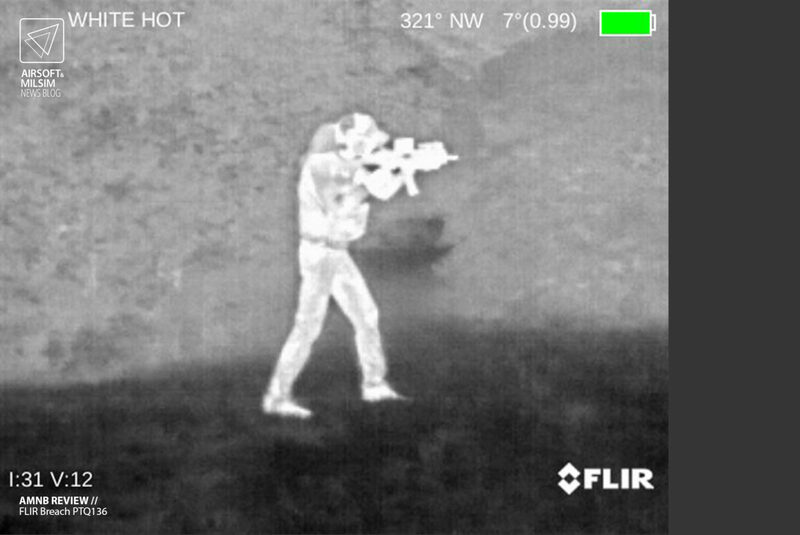 The FLIR Breach is a very useful device with the ability to spot IR signatures at close to medium distances (long distance is capable but not ideal). There are so many applications for the FLIR Breach which gives the device more practicality and a greater reason to be used by different emergency services. 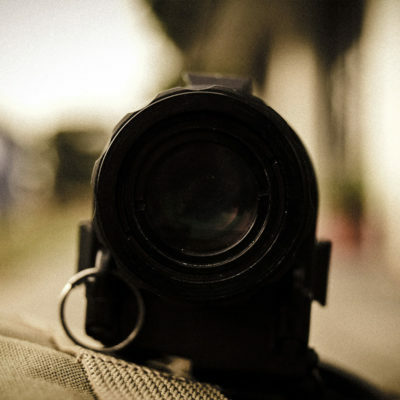 Its use in military situations is even more evident considering it enables the user to detect enemy combatants in situations where they would not normally be able to. 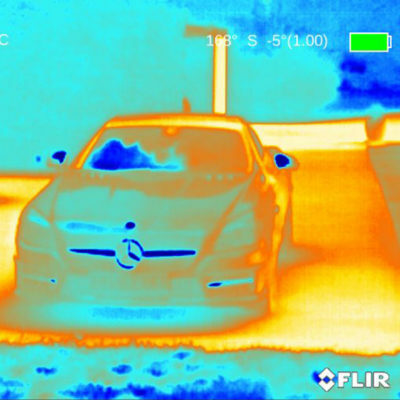 The Breach is a very durable thermal imaging device with the approval of many law enforcement and emergency services. 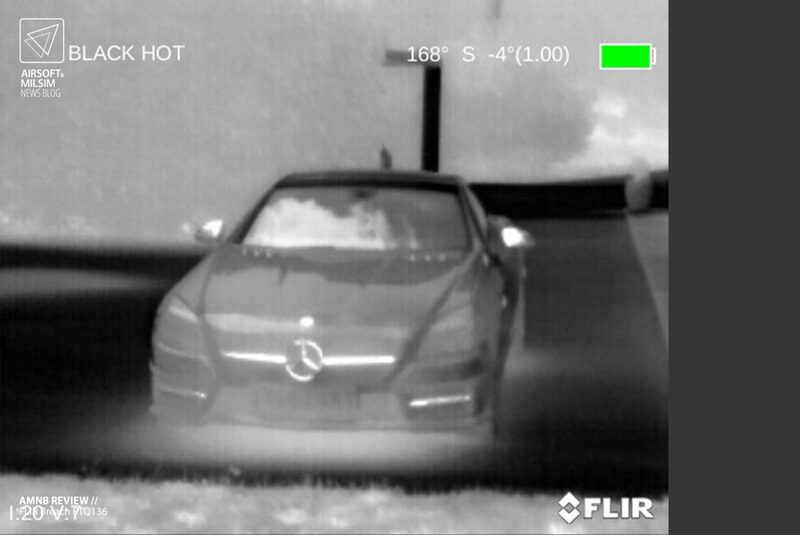 FLIR Systems’ reputation gives them the premise of providing innovative technology that far surpasses that of other products. 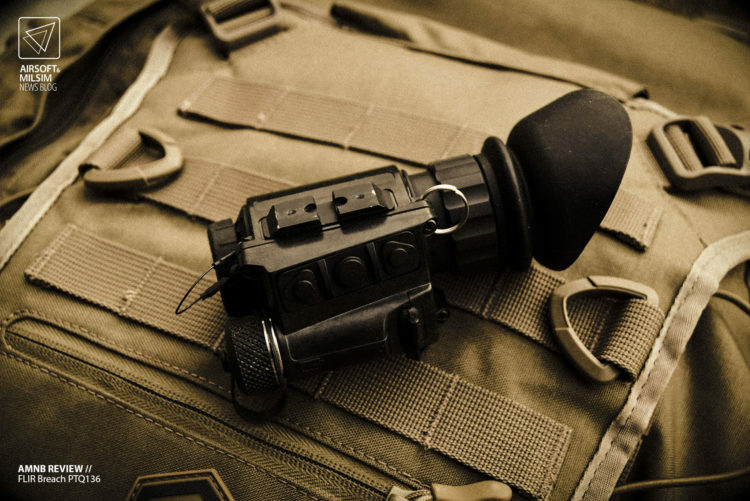 The FLIR Breach is yet another form of innovation by FLIR Systems and represents the ideals of what this technology has to offer.